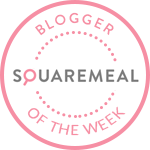 Emily's Recipes and Reviews | UK Food Blog | Leicestershire : chocolate and salted caramel molten puddings from the great british bake off. as it's not my recipe, i'm just going to pop the pictures of how i got on with it, you can find the recipe along with others from the show on the bbc site. what i will say though is that the following ingredients made exactly two desserts. this dessert has lots of technical parts to it, which if you have plenty of time and a nice cold fridge and freezer should work out just fine. i mean, look, i did it! this is not something the poor bake off lot have so hats off to them! 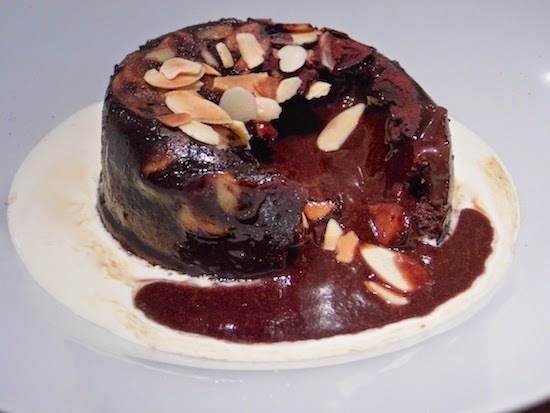 begin by toasting your almonds and prepping your pudding moulds. these now need to chill in the freezer for a while, which isn't so bad as you can now move onto the salted caramel. again, leave to chill in the freezer for at least 30 minutes. the last part, unless you are making vanilla cream, is the light sponge pudding. this first part is to melt the chocolate, butter and add the flour. this can be left aside. the next part is more tricky, for me anyway, and requires a hand whisk. i don't have one of these so regular whisk it was. you froth up the egg over a bain marie, gradually adding the sugar until it gets lighter in colour and texture. as the recipe said, this took around 7 minutes. you then combine the two, pour into the moulds and chill. when you and a preheated oven are ready, quickly pop the caramel cubes into the pudding and bake immediately for 12 minutes. pray to the gods of chocolate whilst your puddings rest for 3 minutes. slide a palette knife around the edges, then... upturn! pour the remaining double cream (because where on earth sells it in 40ml pots? ), break into the pud and hope for a sauce that mary berry herself would be proud of. i'm adding this to the great british bake off bakealong at supergoldenbakes - go look at all the amazing bakes so far! If licking a computer screen to try and get a taste of these is wrong, I don't want to be right. OMG This looks absolutely gorgous! I adore salted caramel! Looks so delicious. I'll be giving this recipe a try. That looks really yummy. Have saved it to try later!